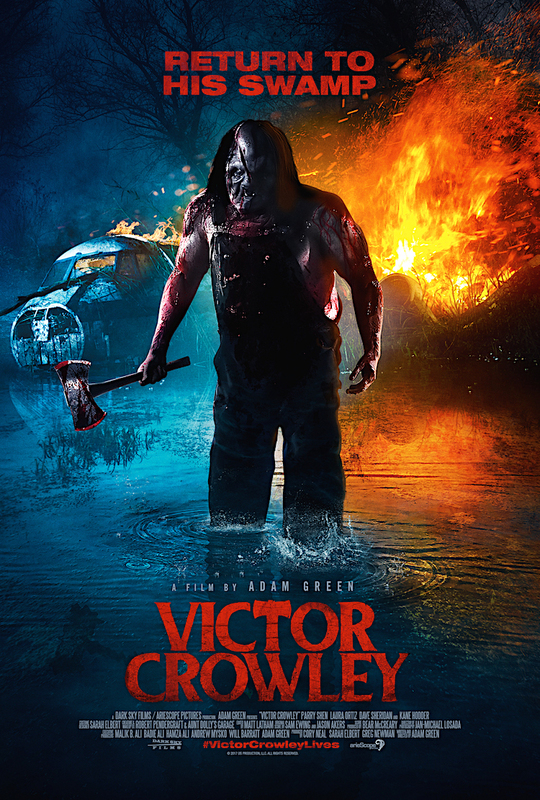 Victor Crowley – Entertainment Ave! Poor Sue (Kelly Vrooman). She was having the most wonderful of nights, and possibly the best reactions to a wedding proposal, ever. Then Victor Crowley had to show up. I don’t believe severed limbs and spraying blood is what she had in mind when she dreamt of being proposed to as a little girl. I suppose at least is was memorable for her! So, yea, the movie starts with exactly what one would want from a slasher film. First you get the bloodbath from many, many years ago, and then you get a quick summary of the history of said slasher, in our case, Victor Crowley (Kane Hodder).